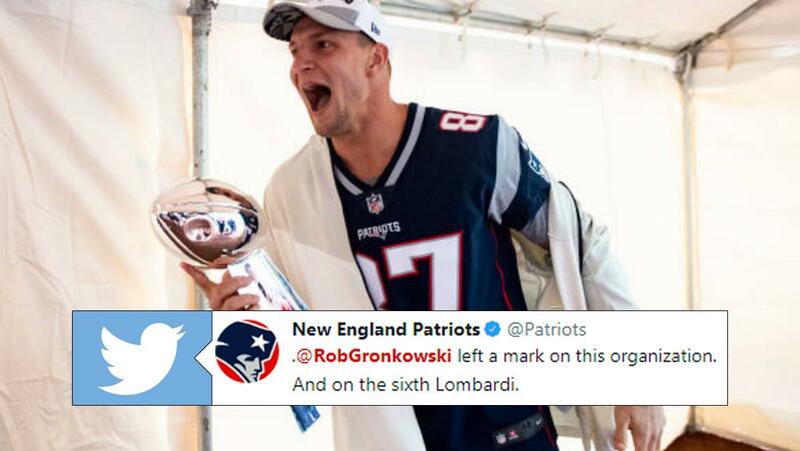 A comment on today's @LoveLettersBlog: "She got Gronk'd"
Gronk left a lasting impression for New Englad — literally. Jace Sternberger is no Gronk, but there are similarities. How does Gronk retiring affect the rest of the Patriots this season? @MatthewBerryTMR weighs in. Gronk's bat speed is off the charts. The only problem? He was swinging the Lombardi. 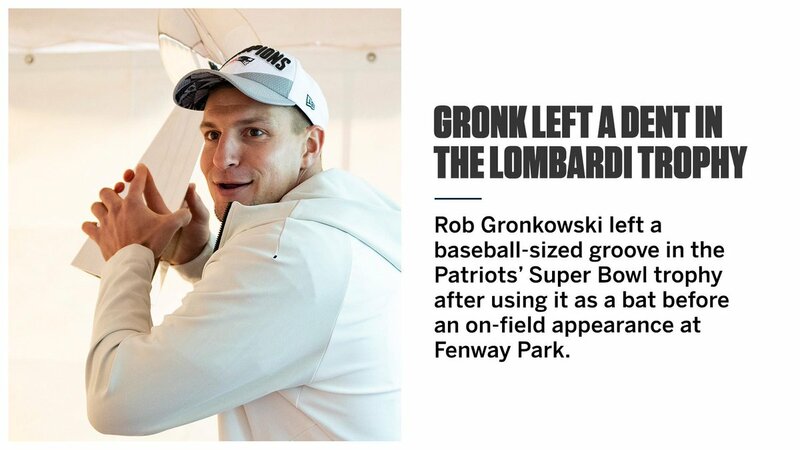 Gronk denting the Lombardi Trophy is the least surprising story of the year. "A tremendous friend. So appreciative of the way he always treated me.From the day that he got here until the day he left.He was so kind to me." #Patriots special teams captain Matthew Slater on @RobGronkowski. @TomBrady @Edelman11 & teammates all love Gronk. 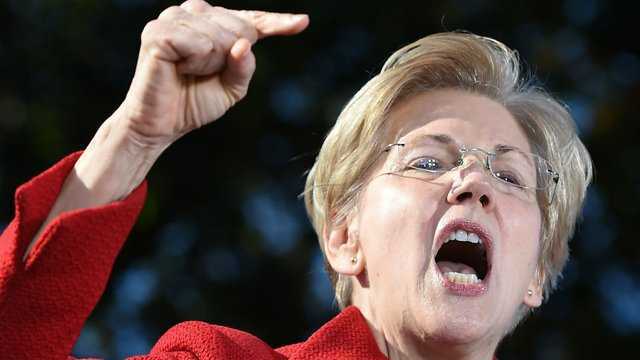 Fallon: Primary polls show Eliz Warren is currently in third place in her own home state. But keep in mind, second place is a Dunkin’ Donuts cashier and first place is Gronk. It's @IzzyAndSpain comin' up on @ESPNRadio! @clintonyates in to get ya ready for tonight's NBA games, bemoan bad baseball & talk Gronk being Gronk.